Communication Network, LLC started out in 1998 in a small shop in Brunswick, Maine. Our goal: Offer local computer enthusiasts quality computers, parts and repair at reasonable prices, sold by friendly people who use the very same products they sell. 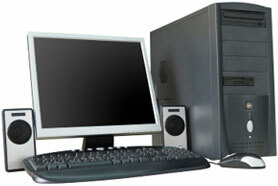 Call us at (207) 798-4711—we’ll help you find exactly the computer equipment you need! Communication Network, LLC | (207) 798-4711 | info@commnetwork.com Copyright 2014. All rights reserved.